The Royal Family of the Southern Rhone? US Exclusive: The Next Keller? 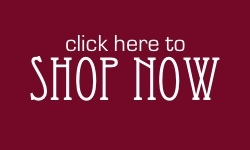 Last Call on the January Sale! With the beginning of February upon us (and spring closer by the minute) we’re kicking off the February Sale in style. 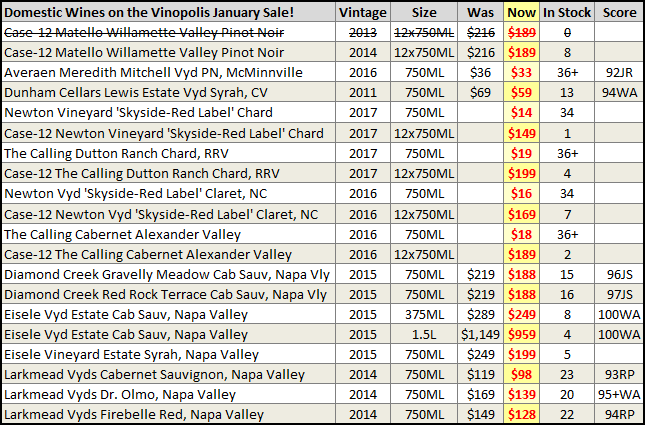 (If you’re reading this before 10am PT on Feb 1, click here for the list of January Sale wines whose pricing expires at the turn of the month, or read to the bottom of the newsletter). 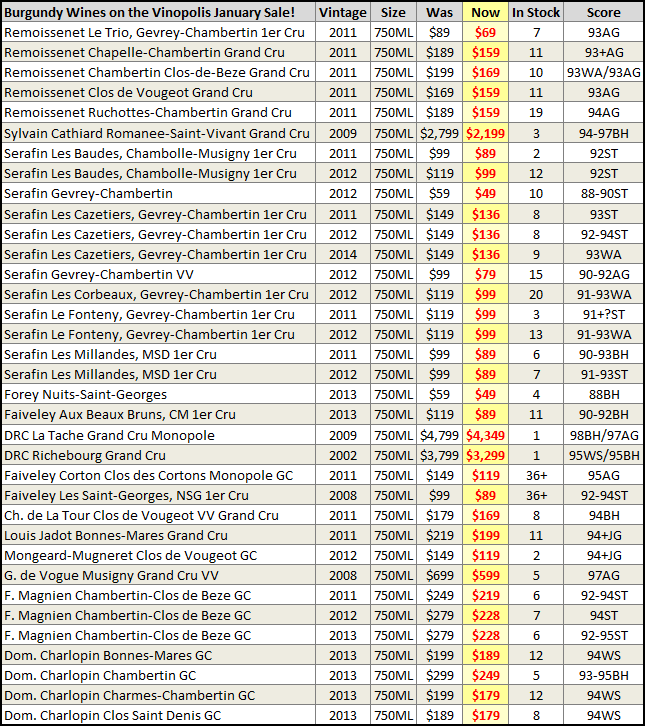 The month has yet to start and already we’ve slashed prices on Tuscan icons, great red Burgundy and classic Cote Rotie. It’s an amazing way to begin the month (provided you like excellent deals on outstanding wines) and we’re excited to bring you more in the days/weeks ahead. 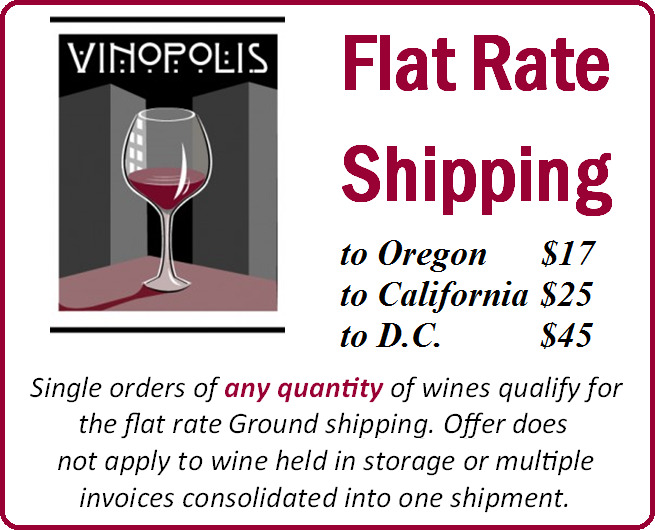 As with all of our Sale Wines—these prices are limited to stock on hand, so once we sell out, the sale pricing is gone forever. We have all the new additions below, but you can also view the full list in our web store by clicking here. 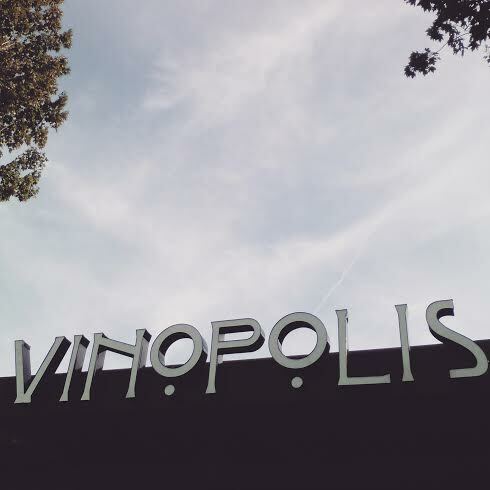 VinopolNote: Made from vineyards originally belonging to Domaine Jamet (and kept in his split from the domaine). The 2013 is the first vintage for Jean-Luc Jamet and a promising start that shows the class of the terroir he’s working with. 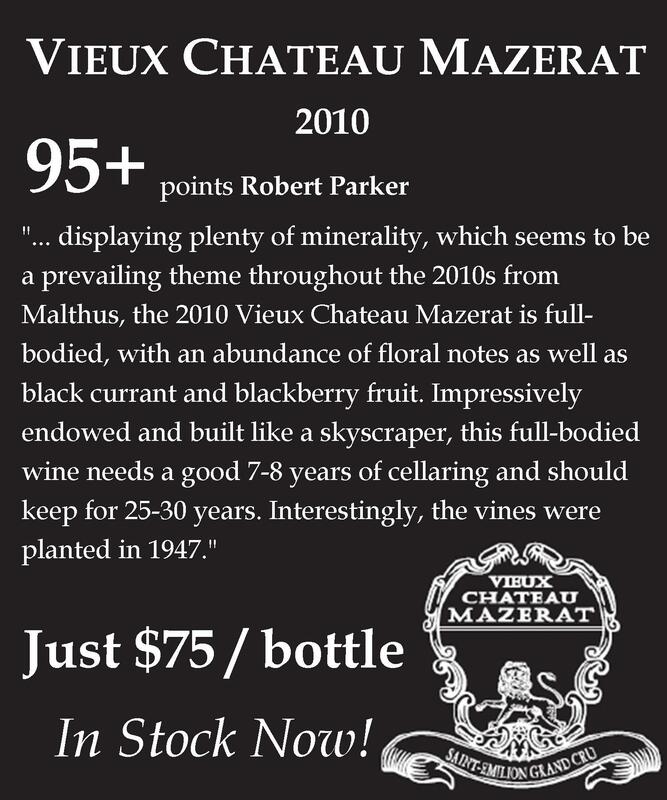 Vieux Telegraphe is a name that instantly connotes greatness and profundity in wine. One of the benchmark names in Chateauneuf du Pape, the estate’s wines are legendary for their complexity and longevity. Yet, despite the fame of Telegraphe, the other projects from the Brunier family (owners, winemakers, etc. of VT) tend not to readily come to mind. Which is a shame. 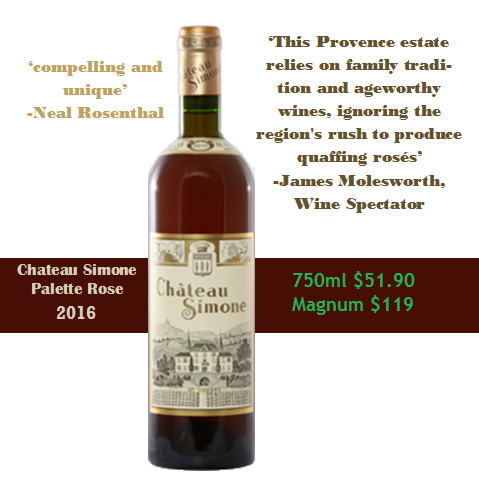 The Bruniers own and make wine from the venerable Chateau la Roquete, which the family purchased in 1986. Best known for big, rich white wines, the estate sits on the Piedlong plateau and is the source for the new “Piedlong” bottling from the family. Where Telegraphe sits in the La Crau subzone of Chateauneuf du Pape and is known for stern, powerful wines, Piedlong is best characterized by the elegance its sandy soils provide the wines. Rayas’ Pignan bottling is probably the best known example, and the Brunier wine shares a lot of the same traits with its much more expensive neighbor, including exceptional early drinkability and gorgeous aromatics. We just recently received fresh stock on all of the different Chateauneufs—perfect for winter drinking. 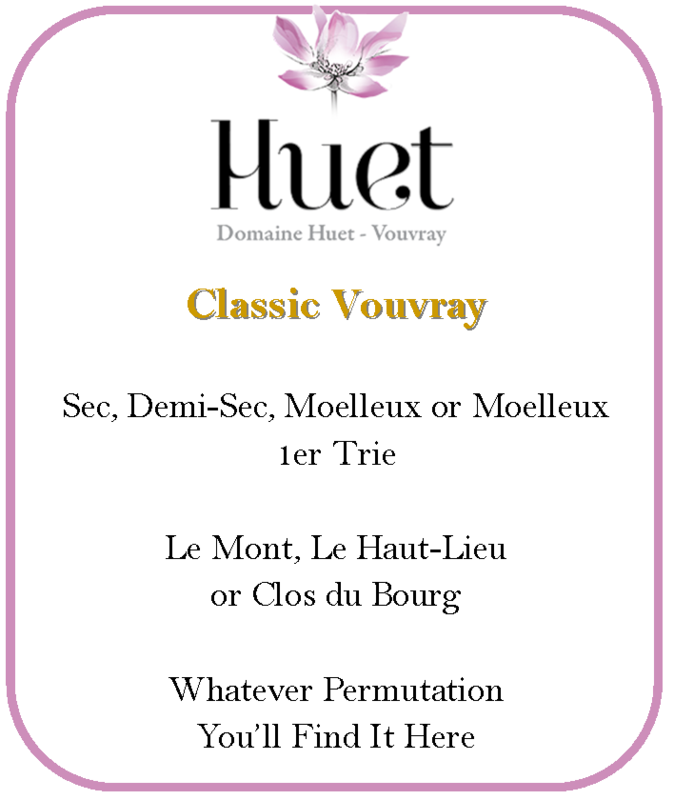 These wines (the wines from Domaine Forey) exist in an odd medium place—quantities are extremely scarce because of the size of the domaine (and demand on the east coast) but somehow isn’t quite a “name” in the sense of a Coche or Roumier. The result is that we actually get to offer the wines to you, however briefly. That’s a difference of nearly $15/bottle! That’s a difference of over $15/bottle! Wine Spectator Insider Hot Wine! 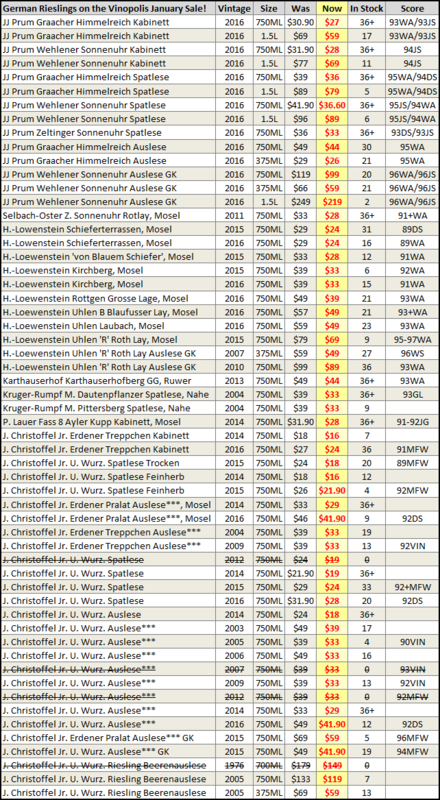 We offer these wines every year, always wondering how the family will top the previous vintage. Every year we taste the wines and are blow away at the quality. 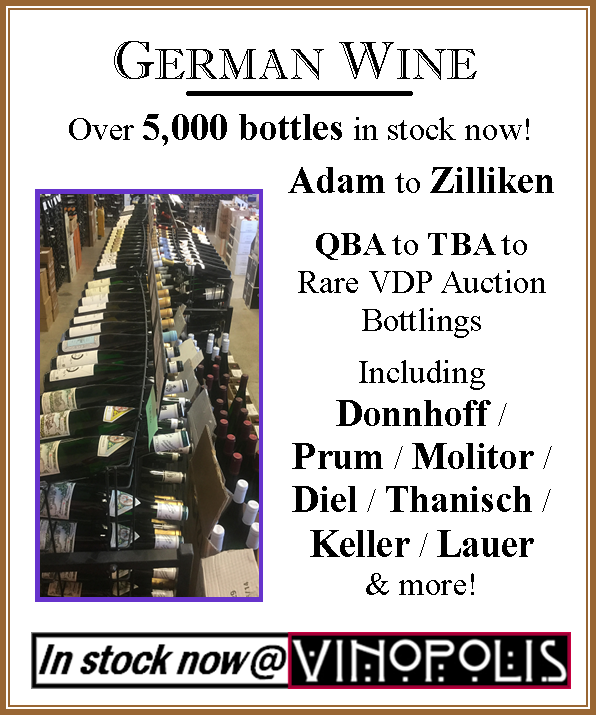 While the top end wines from Dönnhoff are still very far from being available, we’ve secured our allocation of the entry level wines from the vaunted estate and they live up to the family name (again). If you’ve only tried the to end wines, we’d urge you to buy—and age—the “baby” bottles as they improve remarkably with 5-10 years in bottle. It’s a tough ask, what with limited cellar space and how delicious these are young, but the results will surprise you. The wines arrive in May, perfect for drinking over the summer (if we’re being realistic) or aging for a decade (optimism).